Last week, me and Daniel had a night out at one of our favourite venues in Newcastle (or anywhere! ): Boulevard. Forget cheesy drag queens you know from 1970s working mens clubs - instead, think Vegas-style costumes, West End caliber dancers, and an award winning cheographer. Not to mention tabled seating with waiting service throughout the night. The leading 'lady' Miss Betty Legs Diamond has even performed for the Queen at the Royal Variety Performance. The best thing about a night in the pink triangle, is you can pretty much wear whatever you want without fear of judgement - there will ALWAYS be somebody more overdressed than you. For example, a few months ago we were at the Bank bar and there was an impeccibly dressed gentleman in a sharp suit. However when I peered under his table, he was wearing fishnet stocking and red stilletos. If he has the courage to express himself, surely I can step away from my current comfort clothes of floral empire line dresses...? 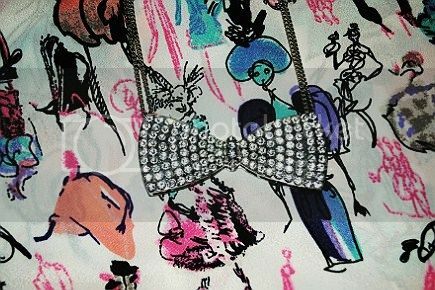 BAG: Topshop, via Lillian's blog sale. POINT OF FASHION: Kind of 1980s. It was as to be expected a wonderful night out. The entire place was packed due to Pure Leisure (who own the majority of Newcastle's gay pubs, bars and clubs) staff night out, so the atomosphere was great! The DJ and compare - the divine Miss Rory - spotted me and Daniel in the audience and we had a bit of banter. She is witty and sharp, but never cruel to anyone. Anyway, she said about me: "Carla is the only person I know who accessorises her bag to match her hair!" "Please pick up one of our heavily photoshopped flyers!" - Miss Rory. The summer show for Boulevard is currently in full swing. Tickets start from just £7 (standing) and are available by calling the box office or online. I also suggest that you keep an eye out on Groupon who frequently sell discounted seating tickets. I won't give too much away about the actual show contents, as I'd hate to spoil the surprise for any locals wanting to go. But what I will say is that it's a fabulously different night out in toon! Ahh it sounds awesome! You look beautiful, I love your top! And hello bag i remember you! I rather like men in high heels. Especially when it'/s combined with a mans suit. Phwoar. You and Daniel need to take me out please! ooo this sounds like my sorta night out! Love the outfit choice, and I love love LOVE those shoes!! What dye do you use for your hair? Super cute outfit. 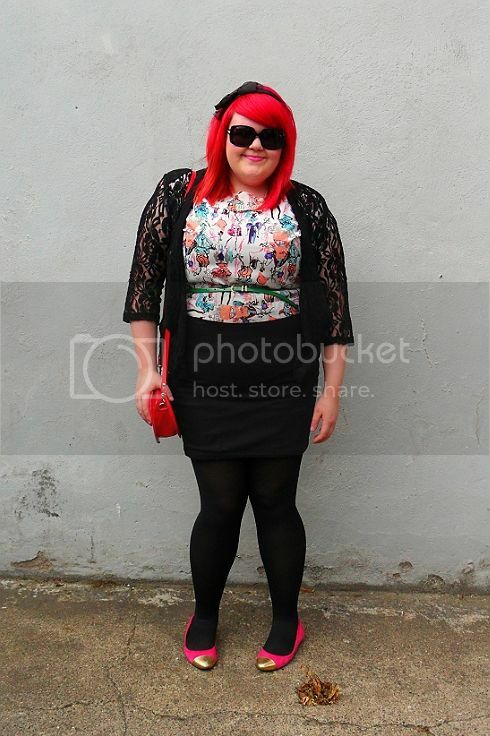 I love the comment about your purse matching your hair, I love going to drag shows - the ladies are always so fierce. 'Come Dine with Me' is one of my favorite programs, I love the commentators sarcastic comments. 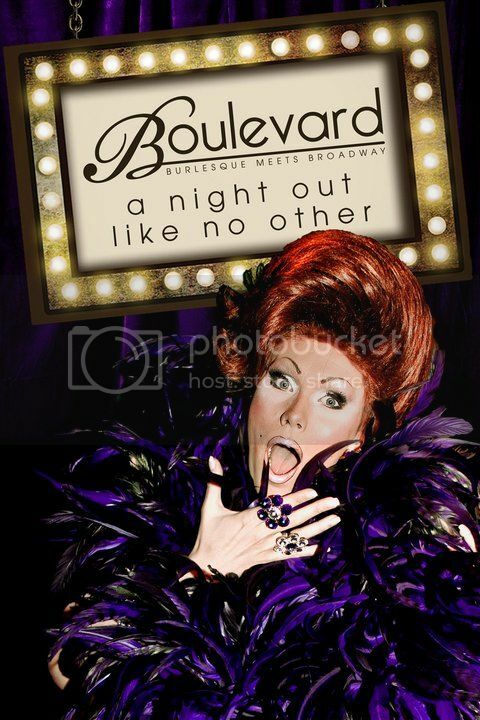 Your post has just reminded me why I need to visit Boulevard soon, I've never been to a drag show before but have heard really good things about this! How long does the show run for Carla, is it a full night out?